The Institute for Healthcare Excellence | What Do Patients Most Desire From Their Healthcare Providers? What Do Patients Most Desire From Their Healthcare Providers? 15 Sep What Do Patients Most Desire From Their Healthcare Providers? In his article entitled “Rather than turn hospitals into expensive resorts, healthier patients require happier nurses,” Boston College medical student Jayson Marwaha looks at patient satisfaction and safety from two important angles. Although a luxurious or pleasing environment may add to a patient’s positive perspective of his/her hospital stay, patients want more from their healthcare providers. Patients want providers who communicate effectively and respectfully. For this to happen, the culture of the hospital must create an atmosphere of support and respect for all staff, especially nurses. Jayson wisely notes that “hospitals are looking in all the wrong places” in order to improve the patient experience. By trying to imitate a five star hotel experience, hospitals are missing the larger picture of patient care. What do patients most desire from their healthcare providers? According to a 2004 Harris Interactive® poll of 2,267 U.S. adults, patients most desire and value healthcare providers who treat them with dignity and respect. Patients indicated they feel it is important for a doctor to be easy to talk to, to listen carefully to their healthcare concerns and questions, to take their concerns seriously and truly care about them and their health. While there are many needs that patients have, the need for good communication tops the list. These are the same results that rise to the top of the list in repeated surveys over the past 10 years. Patients also want providers who are willing to spend enough time with them. As Jayson notes, nurses spend more time with patients than any other hospital staff. Mutual respect and improved communication between physicians, nurses and all team members are the key components to safe medical care and an excellent experience. Through effective communication between nurses, doctors, patients and their families, a culture change can occur. Communication-skills, such as “being present” for each conversation or task, listening to patients and colleagues concerns, and interacting with empathy and respect- can be taught to all healthcare providers. By elevating the manner in which healthcare providers interact with each other, hospitals can create an environment that patients truly desire: an environment in which they are respected, listened to, and taken seriously. 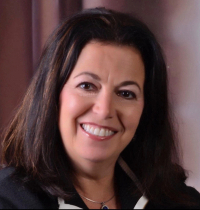 Follow Dr. Argenio on Twitter and connect with her on LinkedIn.